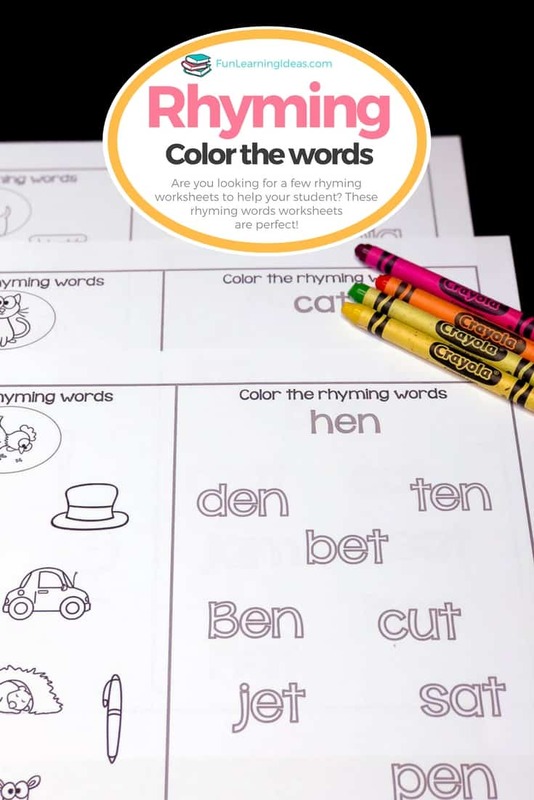 Are you looking for a few rhyming worksheets to help your student? I recently introduced rhyming words formally to my son Caleb- my kindergartner. 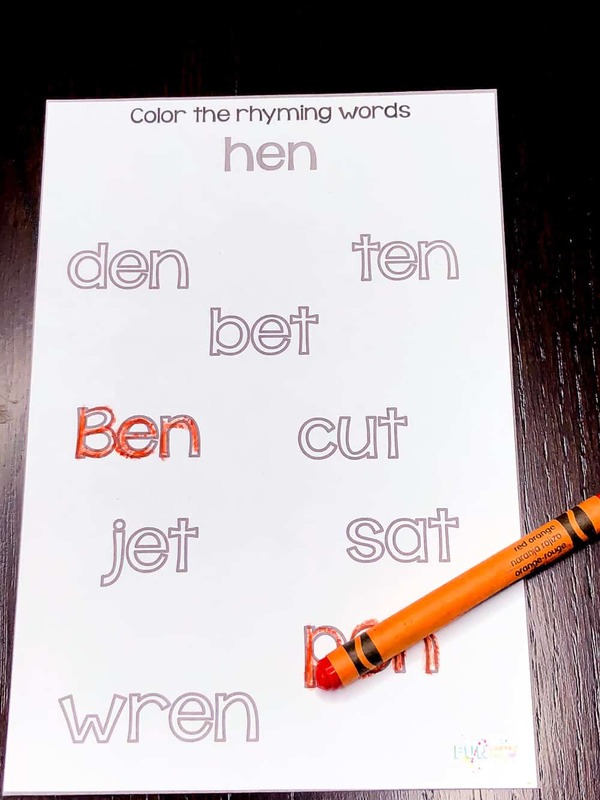 Teaching rhyming words can be fun and you can definitely do this without a worksheet. In fact, you can simply do silly word games with your student. The only hiccup you may have with this is when your child looks at you with a blank look that says, “What on earth is she talking about?” Or maybe that’s just my kids. And that’s where these rhyming worksheets come into play. A rhyme is simply a word that has the same ending as another word. For example, cat and rat, hug and dug. And kids tend to create silly words that rhyme all on their own, especially words related to body parts. Sure this seems as a simple skill but if your child cannot segment words then it gets a little rough. 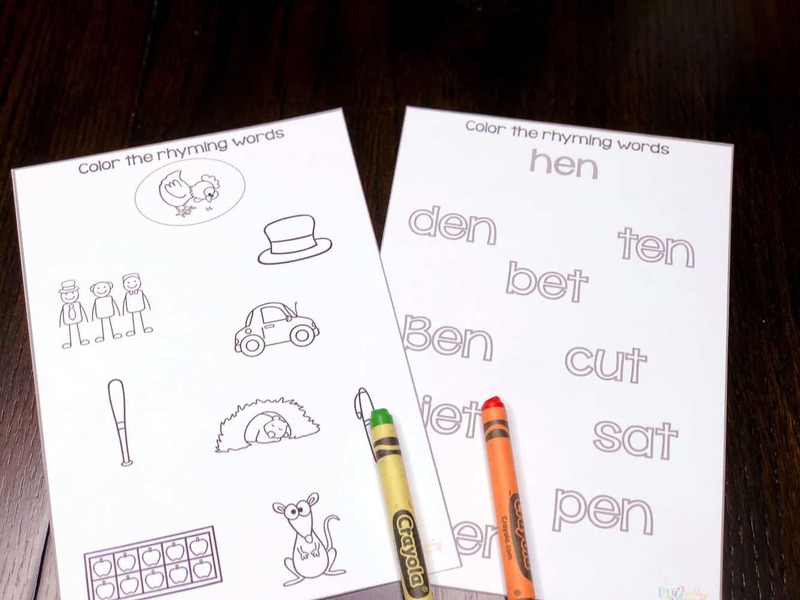 These set of rhyming worksheets were created with 2 levels deliberately. 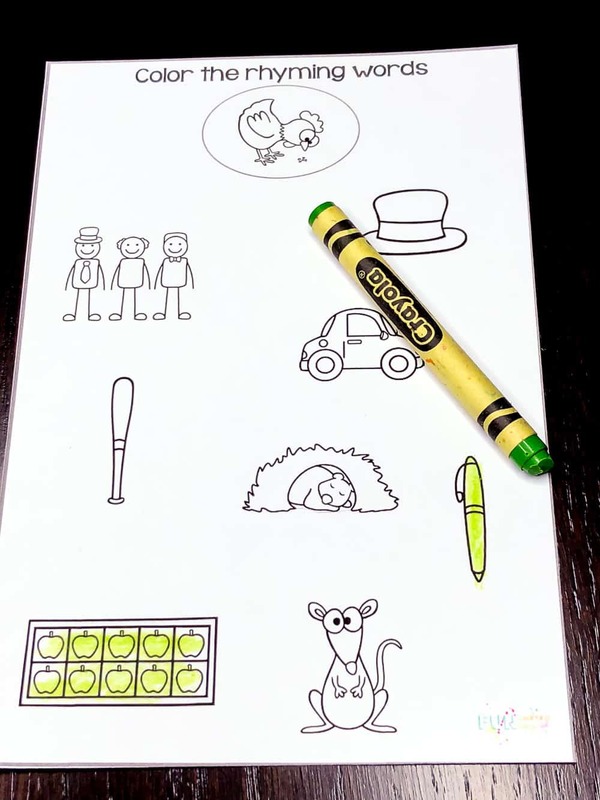 The first level simply has the pictures and your child colors the word. The second level has only words. This means the child has to first read the word, decide if the word rhymes and then color it if it does. First print the worksheets on the paper of your choice. Ideally I would have loved to use colored paper (especially the pastel ones) but I didn’t have any at the time. Once its printed, simply cut the page in 2. Decide on the level that is most appropriate for your child. Color an example of a rhyming word so that he or she understands what is expected. Below you will find a few resources to help you along with your child’s rhyming journey! Please note that affiliate links are used below for your convenience and are at zero cost to you if you click them.